Stop shared-access gate lockouts. Forever. If you’ve ever had servicemen locked out of a facility because a co-occupant replaced the daisy-chained locks incorrectly, then you know the cost in terms of time, money, schedules and frustration. Put an end to it with Stymielock™, an ingenious, shared access gate-locking system that fits on virtually any kind of fence. With this patented solution, you’ll never need bolt cutters to break into your worksite again! 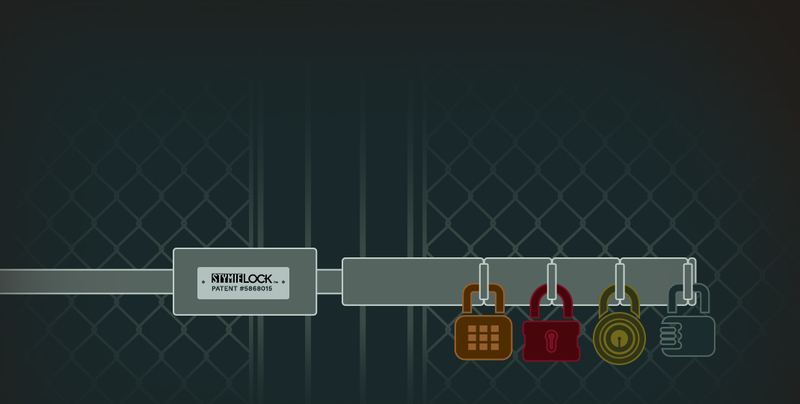 Stymielock is the perfect solution for your shared-access site. Stymielock’s patented system installs easily on virtually any type of gate! Protect your workers’ productivity. Install Stymielock today! Stymielock delivers an immediate return on investment in terms of both productivity and peace of mind. Call for a free quote today!